Click here to see more of Jan's Art! 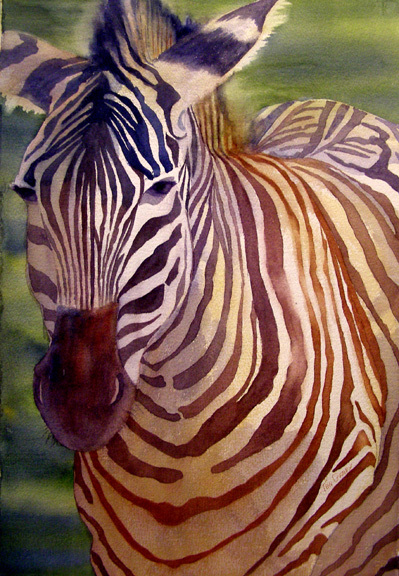 ARTIST'S STATEMENT: I love the luminosity of transparent watercolors. 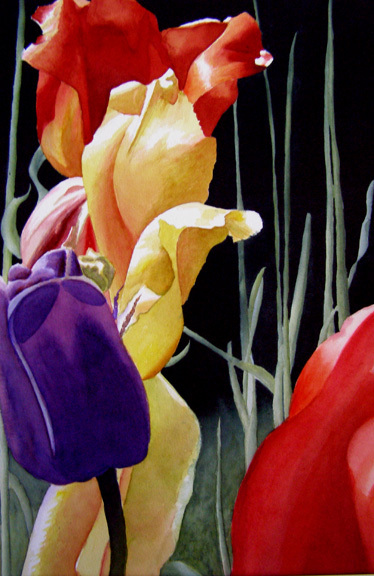 My paintings may include reflections in glass, landscapes with water, brightly-colored flowers and leaves, or still life subjects with a close focus. I'm particularly drawn to warmer colors and vivid hues. BACKGROUND AND TRAINING: Jan Grady became interested in creating art a couple years before she retired from a career as an Information Technology Manager at Hewlett Packard. She took classes in doing portraits in pastels and then developed a love for transparent watercolor. 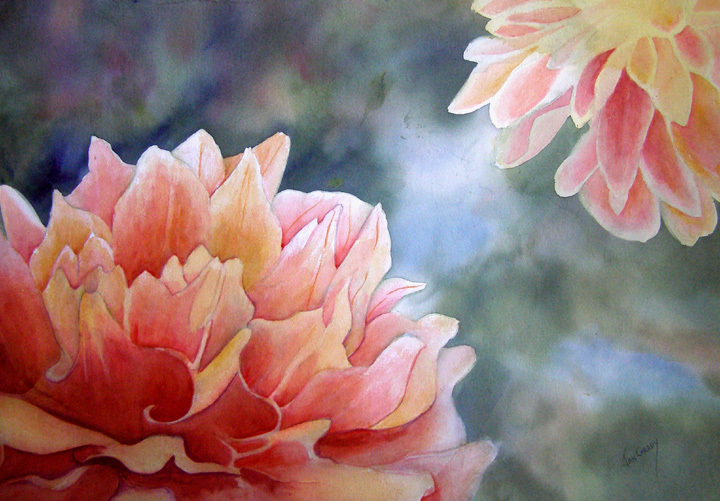 She studied with Oneida Hammond and Floy Zittin in the Bay Area for many years and has taken numerous watercolor workshops from such artists as Dale Laitinen, Christopher Schink, Jane Hofstetter, Doris Olsen, Ben Kudo, Jann Pollard, Lian Zhen, Robert Dvorak, Terry Madden, Marie MacDonnell Roberts, Carla O'Connor, Michael Atkinson, Donna Zagotta, Karen Frey, Mike Bailey, Judy Morris, Skip Lawrence, Susan Bourdet, Katherine Chang Liu, Mary Whyte, Don Andrews, Gerald Brommer, Barbara Nechis, John Salminen, Ann Pember, Ted Nuttall, Karen Honaker, Margaret Evans, Terri Hill, Jane Freeman, Birgit O'Connor, Kathleen Alexander, Nancy Collins, and Tom Schaller. 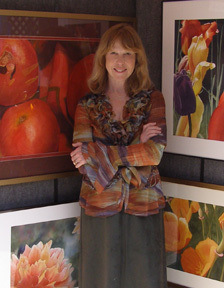 Jan is a member and past leader of the Santa Clara Valley Watercolor Society and is also a member of the Fine Arts League of Cupertino, the Los Gatos Art Association, the California Watercolor Association, the National Watercolor Society, the Transparent Watercolor Society of America, Watercolor West, and the American Watercolor Society. She and her late husband, Bob Grady, who painted in oils, loved to travel and got inspiration for their paintings from the places they visited. Bob passed away on October 18, 2014, and is greatly missed by Jan and his family. Jan's work is also available through the Viewpoints Gallery at 315 State St. in Los Alto, CA and Art Liaisons, art representatives. 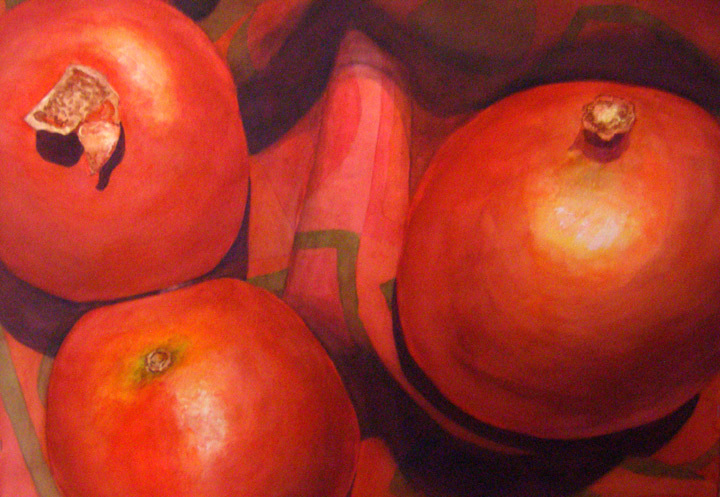 She was the featured artist at Viewpoints Gallery in February, 2015. All pages © Copyright 1998-2013 by Jan Grady. Cannot be reproduced without explicit written permission.